Eighty-five years after it was built, Coit Tower continues to serve as an easily recognizable landmark in San Francisco’s varied cityscape. Its art deco architecture and high elevation give it a unique profile that can sometimes overshadow the cultural and historical significance of the works of art that line its interior. Coit Tower is named after Lillie Hitchcock Coit, a philanthropist who is often described as an eccentric, at least partly for her disruption of the gender-norms of the time—she gambled, smoked cigars, and was obsessed with firefighting. When she died in 1929, she left money to the city that was used to build the tower. The tower, perched on Telegraph Hill, offers a three-hundred-and-sixty-degree view of the city. It has often been mistaken for a giant fire hose, though architect Arthur Brown Jr., who also designed San Francisco City Hall and the War Memorial Opera House, dismissed such assertions. The tower was completed in 1933. According to Golinger, it was not built to house works of art, but the next year, a group of artists were invited to paint murals around the inside of it. Today these murals remain a unique part of the city’s art collection. 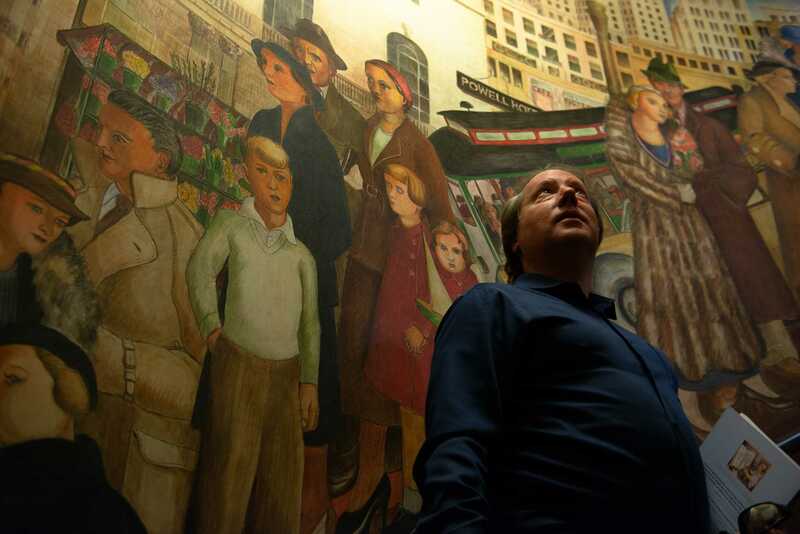 These murals are what help make Coit Tower a cultural icon rather than just a concrete pillar. They feature the works of twenty-five artists and their assistants, who aimed to fill the halls of the tower with depictions of what life was like in 1934 America. The first floor of the tower shows men and women at different locations—a library, a newsroom, a field and orchard—going about their daily routine, often with reminders, some subtle but others less so, that hint at social conflicts of the time. The second floor is more generous in its portrayal of Depression-era life—one mural shows a group of men playing polo and another shows a group of children playing. He means that some of the artists had communist leanings. Many were influenced by the works of Diego Rivera, who was at one point a member of the Mexican Communist Party. In the tower, Bernard Zakheim’s mural shows a man pulling Karl Marx’s Das Kapital off a bookshelf. In artist Victor Arnautoff’s mural, The Daily Worker, a newspaper published by the Communist Party USA, sits on a newsstand. At that time, the First Red Scare had brought the threat of communism and socialism into the American consciousness. The murals became a source of controversy after the city’s longshoremen went on strike. In that hypersensitive political environment, the opening for the tower was delayed. Ultimately, a small three-panel fresco by Clifford Wight and a portion of artist John Langley Howard’s mural were covered up. Today, there is little evidence they ever existed. In late 1933, the Public Works of Art Project was launched as part of President Franklin D. Roosevelt’s New Deal.According to Golinger, the timing of the project just happened to coincide with the building of the tower, and thus allowed the project to find a space for its artists to display their work. 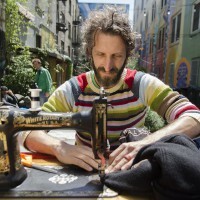 It was the first federal public art works project. In the decades since, federal funding for public art has grown significantly and expanded in its scope. All of this makes for a unique history which has brought attention to the tower on a statewide and, more recently, national level. The National Register of Historic Places is a list that includes districts, sites, buildings, structures or even objects that are deemed to have some special significance. The National Historic Landmark designation is even more exclusive. It is given to places whose significance can be proven on a national level. There are more than 90,000 places on the register but only about 2,500 on the National Historic Landmark list. 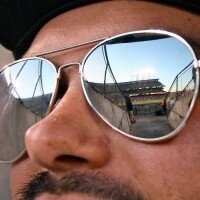 In San Francisco there are currently eighteen national historic landmarks. Perhaps the most iconic of these landmarks is Alcatraz Island, which was put on the list in 1986. 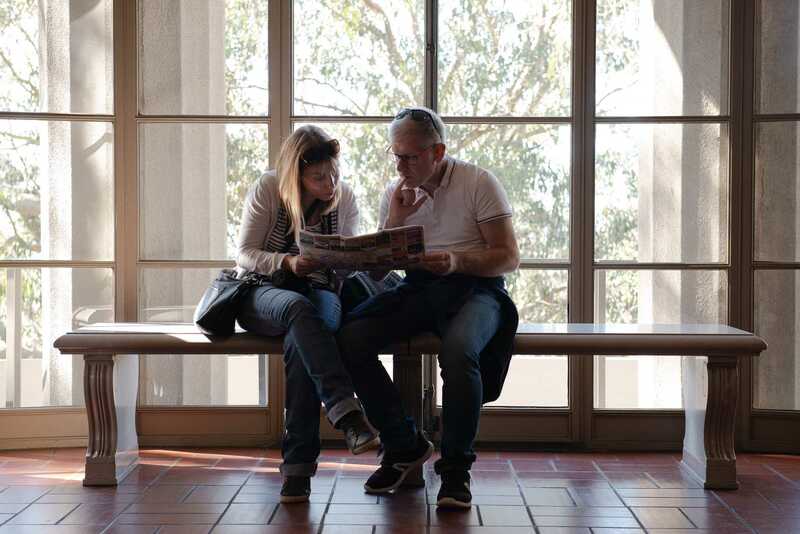 Golinger, and his nonprofit community group Protect Coit Tower, have been the principal force behind the effort to get the Coit Tower onto the National Historic Landmark list. Golinger and his group began by amending a 2007 registration form submitted to the National Park Service to include Coit Tower on the National Register of Historic Places. That form, which successfully placed the tower on the register the following year, argued that Coit Tower was historically significant but not on a national level. Golinger, whose passion for the tower led him to write a play about it, and Katherine Petrin, an architectural historian working for the community group, disagree. In August, the National Park Service accepted the amendment and agreed that the tower was significant at a national level, which Petrin said is the first step toward National Historic Landmark status. Sites nominated to the National Historic Landmark list must ultimately be approved by the Secretary of the Interior. Petrin has also worked with other historic buildings in San Francisco, including the New Mission Theater, which, after years of sitting dormant, was purchased by Alamo Drafthouse and reopened in 2015. 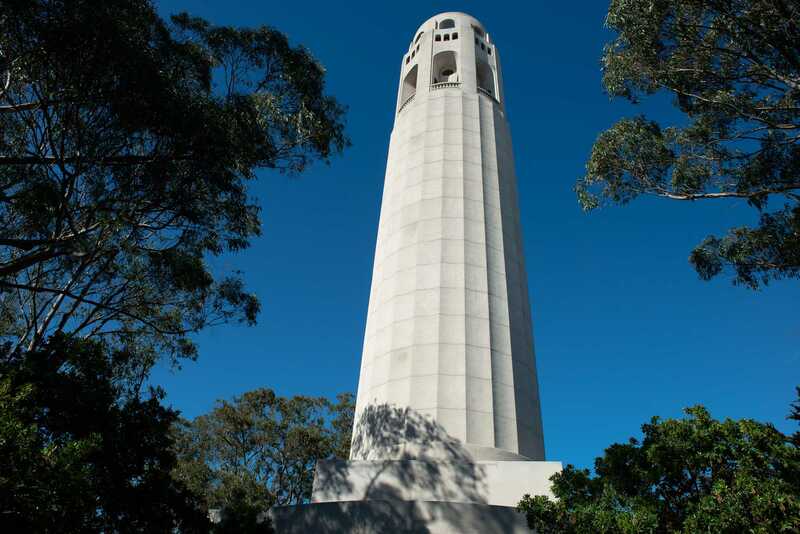 Petrin, who lived near Coit Tower for several years, said she began the process with Golinger to get the tower onto the National Historic Landmark list in 2016. 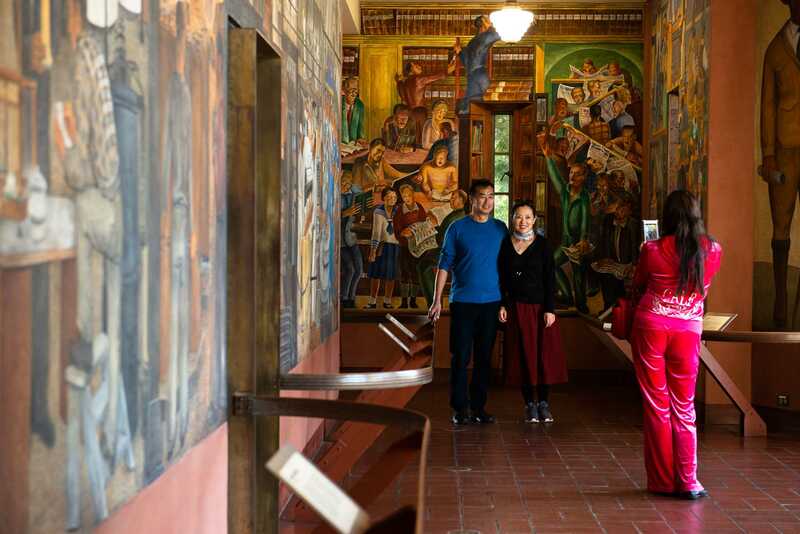 “When you start layering in all these other things having to do with the murals and the themes and the Diego Rivera influence and the fact that they are done in fresco, all of a sudden there’s all this significance that is brought to the property because of the murals,” she added. 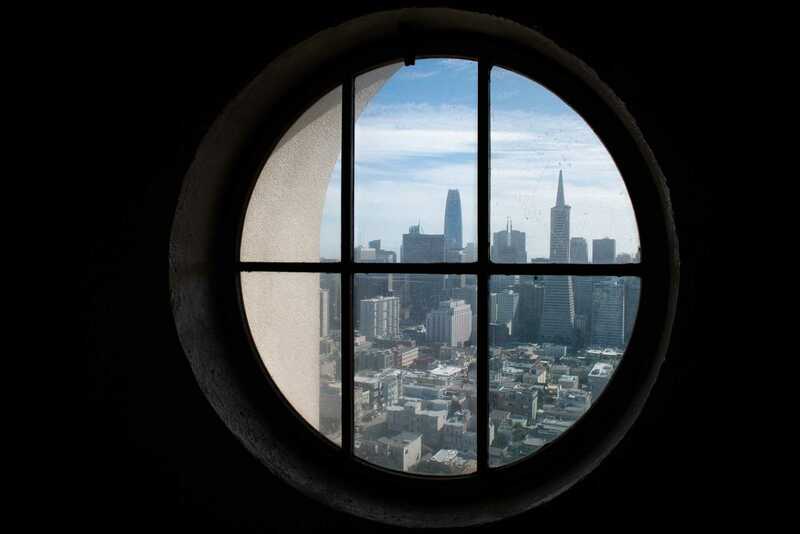 Both Petrin and Golinger said they were unsure of when exactly the park service might give its final approval for Coit Tower to be added to the list, but they both agreed the tower’s cultural and historical significance make a good case for its inclusion as a National Historic Landmark. “The biggest question I had, and pretty much everyone that I tell about this has, is: it’s not already?” said Golinger.